Being the 'lone wolf' can be difficult. Self-reliance is important, but too much alone time can sometimes come with a price: Your social skills. This is not always a bad thing. You don't have to go out every night because, face it, often you have better things to do that are shaping you into that awesome individual that you really want to be. Perhaps, then, as with most other things in life, one should consider moderation. Too much isolation can impact your social skills and consequently affect your chances for a promotion, a romance, or simply just cost you that occasional fantastic story that arises when you spend an evening out with your friends and neighbours. So stop thinking about it and get out of the house! Here are 7 strategies that can help you to find a middle ground between the calming silence of solitude and the aggressive dynamics of a social scene.Keep your social skills sharp and ready for when you need them! Names are powerful. Ancient man has long believed that to call something by it's proper name was to have power over it. Think of the names of things, for instance. To see this concept at work try a little exercise. Instantly your mind just filled with an image, likely the last good or bad pie that you had or perhaps a recent holiday when someone you cared about made a delicious pumpkin or apple pie that you devoured with relish. You can taste it. You can smell it. Now say 'pi' in your mind. Same sounds with perhaps a subtle change in inflection but how different are the results in your mind? If you are into math then you've just switched from delicious pastry thoughts to a mathematical value of '3.14' that is useful in determining the radius of a circle. If you have studied Greek, then you just saw the sixteenth letter of the Greek alphabet. You might be remembering a college sorority. A name has the power to take an astounding amount of associative data and condense it into a small and potent package. Use this to your advantage. 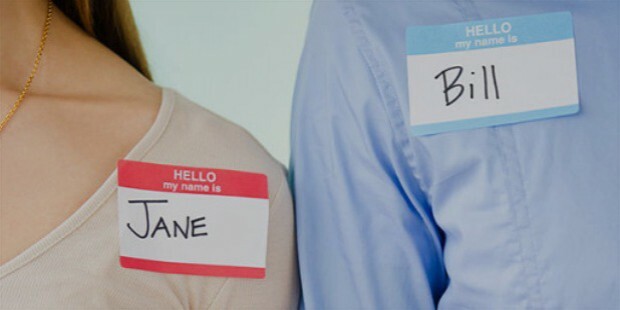 Also remember that NOT knowing a name can be detrimental to both streamlined thoughts and more importantly to the subject of this article, those pesky social situations. Who likes having their name forgotten? A simple method to remember is to create a quick rhyme that exaggerates one feature of the person. It doesn't have to be flattering and oddly enough, if it isn't, you might remember it better. For example, an aggressive coworker named Jane is a bit of a drab dresser. Throw in a mental image of plain-Jane with a conquistador hat to help you remember. Say it mentally in a Jamaican accent and you might remember. Always add an exaggerated mental image to increase your chances of remembering. People will notice when you remember their names and this gives you an instant advantage. Sometimes the hardest thing in socializing is simply knowing what to say. If you don't have that instant insight into others that some extroverts enjoy then don't despair. There are other ways to make them talk. Local news is a great way to accomplish this. Keep informed. The information age makes this not only easy but a must for keeping in touch with our world. 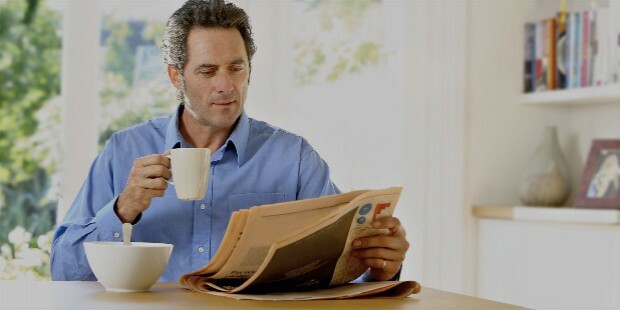 Taking just 15 to 30 minutes a day to read some news stories in the morning with your coffee before you go out and THEN getting to work early to spread that news before everyone has already talked about it can make you appear more social than you already are. Wait.. get to work early? Yes. There is an old saying, 'On time is LATE! ', and aside from it being a good habit to get into and getting a favorable notice from management, always arriving 20 minutes early to work gives you time to have coffee and to discuss current news with coworkers. Since you have to work soon, there is a time-limit as to how long you will have to be social. See folks? We have your best interests in mind! Sometimes the news isn't enough or perhaps you are out in a place like a pub, where news may be too stark or starchy a subject for the mood of the evening. You've still got an ace up your sleeve if you just remember this basic piece of psychology. Lots of People love to talk about themselves. Not everyone, of course. You'll find some who cultivate mystery about themselves, either deliberately or out of social anxiety, but with a bit of prodding you can get most people to talk. 'I haven't been to this spot before. Does it get packed on the holidays or for televised sports?'. Try to prompt them to tell a story that they associate with the place and use any facts which they reveal about themselves to get them talking. If they mention it was packed for a sports game, explore that for instance. If they mention mutual friends then you get a better idea of their social group. 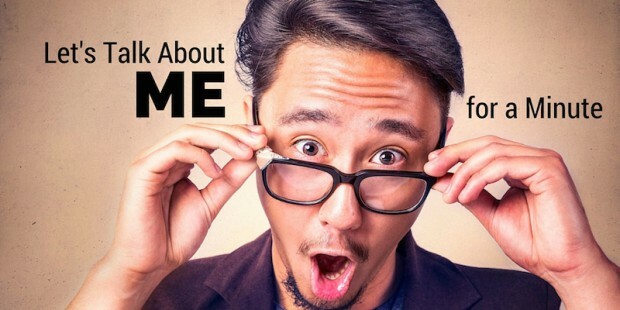 People like to tell you about themselves and practicing this skill can help you to build your social standing without revealing too much about yourself. Just be ready, you may be called on to answer the same questions that you are asking, so prepare a response or two in advance if that might cause you a little anxiety. A lot of people don't know that some of the people who are most famous for speaking were preparing things in advance. Winston Churchhill is a famous example. He had a problem with stuttering and the way that he got around this was to stay up at night preparing responses for any situation that he thought he might encounter the next day. 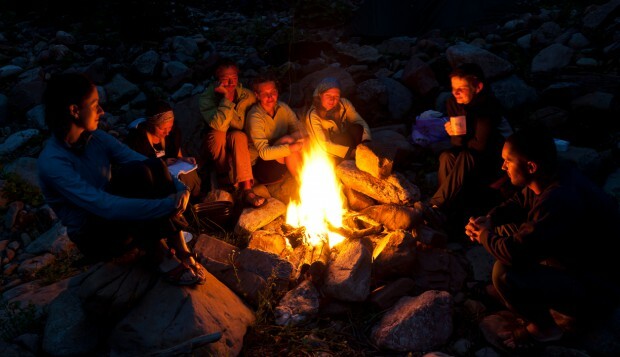 Mind you, very few of us have the time or inclination for that, but there is one form of discussion that we all fall naturally into- storytelling. Prepare a story or two in your mind for that social event to have ready. 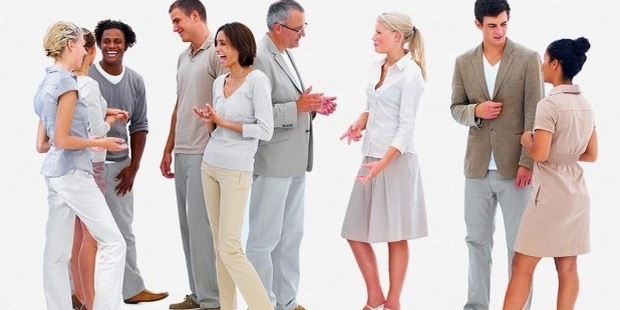 Keep it brief, as too long a story can invoke interruption from some of the more aggressive members of a social clique, but if it's quick and amusing then you can get other people telling their own stories. This will endear you to the crowd and in learning their own stories you will enrich the social experience. Who knows? You might even have a good time. One warning, unless you know the people you will be with very well, be careful if a story is too self-deprecating, as others may use this to demean you socially. General stories about interesting things that you've seen or strange characters which you've met or observed are sometimes the best for ice breaking with a minimal amount of social anxiety. 5. Happy hour surprise round! This one requires a bit of courage but if used correctly it can be a great way to meet people. 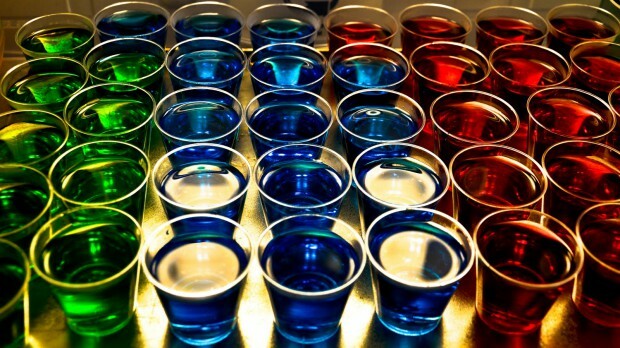 If you have gone to a pub on your own and don't wish to wait for company, buy a round of shots for strangers. Wait until it's happy hour and wait until you have been at the establishment for long enough to observe the people around you. This will lessen your chances that the group which you are targeting has one or two unsavory members. Generally observing for thirty minutes to half an hour can maximize your chances of finding the type of individuals which you may be the most comfortable with. "I'm new here and you folks look like you know the place. Mind if I stay for a drink and a few questions about the place?" People will rarely ever say no to this and you might make some friends in the process. Go on and give it a try sometime. You might like the results. Not all social situations are out in public. Sometimes you have a chatty friend or coworker that you have to speak with on the phone. If you have a little social anxiety it can be easy to sound cold or robotic. So how do you combat this? A simple tactic that some telemarketing call centers teach is quite effective. Try smiling on the phone. It sounds odd but the effects can be astounding. Why does this work? No one is 100% sure but studies have shown that people can intuitively differentiate the vocal intonations of someone that is smiling from someone that is not. This can improve not only your social calls but your business calls as well, so much that some companies include the 'put a smile in your voice' method in the training of their phone staff. Give it a try. If you don't like smiling for near strangers then just remember that sometimes a smile is a smile and other times it is simply showing the world that you have TEETH. Sometimes the best of tactics doesn't work or social anxiety can keep you silent and sullen. Get out of the house anyways. 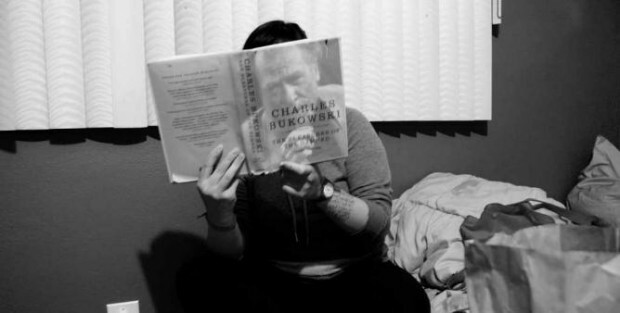 Noted cynic, poet, and all around wildman Charles Bukowski favored this method at times. While you might feel that you are dragging down the mood of the event this is not always the case. Choose a book that may incite conversation. Pop psychology or an interesting thriller. Sometimes you don't even have to read it and can simply keep it near you, like a talisman from home to keep your introversion close and in a visible form to shield you. Attempt to be social the first hour and if things taper off, well, you can always read a bit before you go to keep your presence felt in the group for just a little longer. People are often more accepting of this than your total absence from events, so keep this last method in mind when all the others fail. We hope that one or more of these methods will help you to socialize and to grow your social kung-fu abilities. You can still stay home as you like to learn more skills but if no one knows that you have them then they can't benefit you to the fullest. Don't neglect your social skills!